Windows 8? Microsoft Wants You To Migrate To Windows 7 For Now! In its latest whitepaper, Microsoft has urged people to move over and leave Windows XP. Interestingly though, it did not ask people to migrate to Windows 8 and spoke very little about it. Instead, it wanted people to move over to Windows 7. It does make sense though as people should move ahead step by step. It said something that made me feel it was not expecting Windows 8 to catch up in business houses before end of 2013 or early 2014. Here are some of the key points Microsoft presented as a case for ‘forgetting’ XP in favor of Windows 7 in its whitepaper named ‘Mitigating Risks: Why Sticking With Windows XP Is A Bad Idea’. 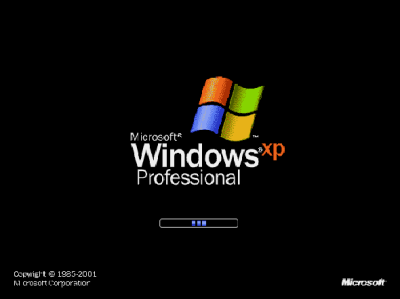 The white paper starts by reminding the support for XP would end by April 8, 2014 and by saying that some sections of business communities are intending to stick with XP even if it is not supported – as they think XP satisfies their business solutions – and are not planning to migrate to latest operating systems – the Windows 7. The whitepaper places stress on the problems this particular business section may face – by continuing with Windows XP. The whitepaper places stress on the fact that Windows XP is two generations behind current product technology and that users have already experienced XP for long. It says the operating costs of the older PCs increase when used with older technologies like XP. In addition to security problems, using XP can and will bring in unwanted delays by breaking down. I would like to add here that the new applications need to be designed considering current technologies as they will last longer compared to those designed around decades’ old operating systems. In other words, Microsoft says that using XP on a PC proves to be costlier than upgrading to Windows 7 – over a year. Newer computers have better technologies that are not utilized by Windows XP. It says even the service packs (up to SP3 for Windows XP) miss out on optimal performance of newer machines. One example could be the new IE9 using GPU acceleration instead of software acceleration. Newer computers that ship with a minimum of 4GB RAM are not utilized to the full as Windows XP 32 bit cannot optimally address that amount of RAM. The 64 bit version of Windows XP was more like an experimental operating system so I cannot comment if it really addresses the complete RAM. The experience may differ from user to user. Employing modern technologies will result in increased employee production as against holding them ‘hostage’ by sticking to older and aged operating systems that deprive them of better experiences. Microsoft also says current industry standards talk of maintaining of software by patches and hotfixes. If a software is based on an unsupported operating system, that will breach the industry norms. This is an attempt to project Microsoft’s view on the widespread use (almost 40% of commercial computers) of Windows XP and its fears that these might affect the businesses adversely if not upgraded. You can download the whitepaper here. Do you think businesses should wait for Windows 8 before migrating to the latter, from XP. Do you think businesses will even think of migrating to Windows 8? Or maybe they should migrate to Windows 7 right away … What do you think!? I will tell you what, if future operating systems coming from Microsoft are anything like Windows 8 there are going to be alot of people who are just not going to migrate past Windows 7. Microsoft has become a money hungry machine and they are going to try and soak every nickel they can out of people on this new OS. Want all those cool little gadgets for the Metro UI? …… better break out that wallet again! Plus I can only fathom what they will be charging for a boxed version of 8. Of coarse they will try to push people towards 8 also after a while, sighting security issues with 7 after about a year or so after 8 comes out. But I am here to tell you, people make their OWN security issues with the way they surf and use their pc’s. Don’t engage in abnormal activity and the normal user will be fine, go snooping around where you should not be then you deserve what you get, otherwise 7 is going to be fine for years to come. I agree totally. No one is going to pay separately for operating system and then for the applications that were supposed to be free with Windows. Also, with the kind of new os they have developed, am sure people will wait for the next operating (Windows 9 or probably 10) before moving on.